The typical cooperative is designed for the mutual benefit of all members involved. The sharing of knowledge, leverage and resources provide the members with a profit-driven plan to secure market share. History has proven the business concept is successful in many arenas. Our cooperative concept is something of a twist on the conventional wisdom, but utilizes the same foundation. Our approach has been to develop a group of companies that work in harmony to provide small businesses with a support system that meets their needs. Having analyzed the reasons so many small businesses fail, we sought to create a network environment that pulls professional services together in a way that is affordable, efficient and best in class. Finding the right professional to support you in your business is not easy. It can be a challenge finding the right people; AFG carefully selects their members and works continuously to support the network ensuring you get our best. Do You Have The Passion To Serve The Small Business Community? 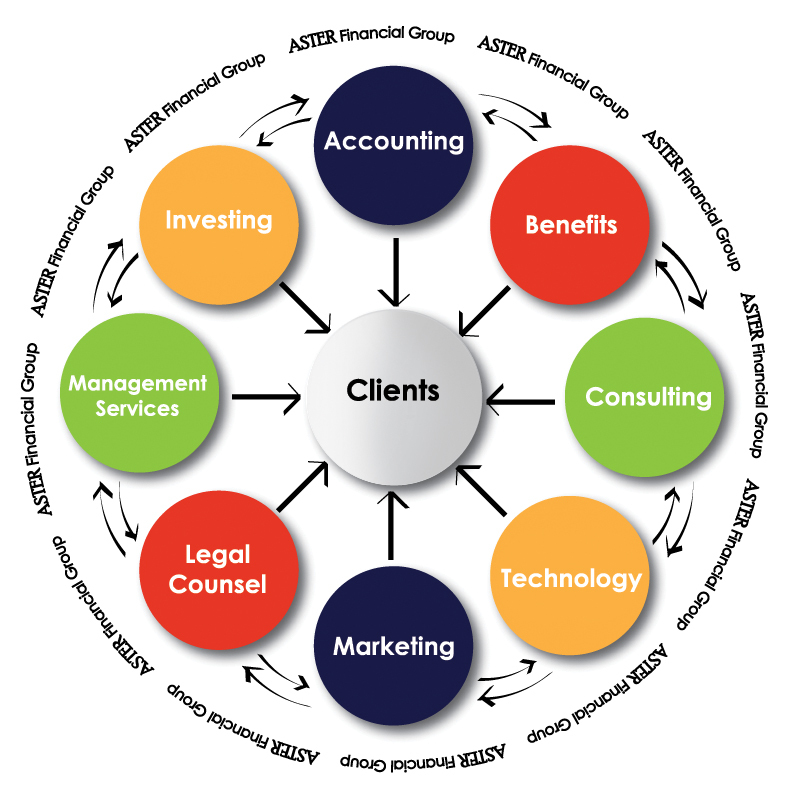 ASTER Financial Group while a true cooperative management company for several businesses, it also serves many members as more of a resource center. We have shared meeting spaces and coordination services that allow you to grow into our network as a preferred provider. You are able to access our team and knowledge base from the inside enabling you to better serve your own customers. Think of us as a “stream-lined word-of-mouth” marketing tool. There are no fees, no restrictions and no exclusivity clauses, but you do have to prove you are at the top of your game and share both our Mission and our Values. We will never allow competitive services inside the circle, you must be a team player that is able to leave their ego at home. To learn more about ASTER Financial Group please contact us at 315-258-8780 or email Admin.